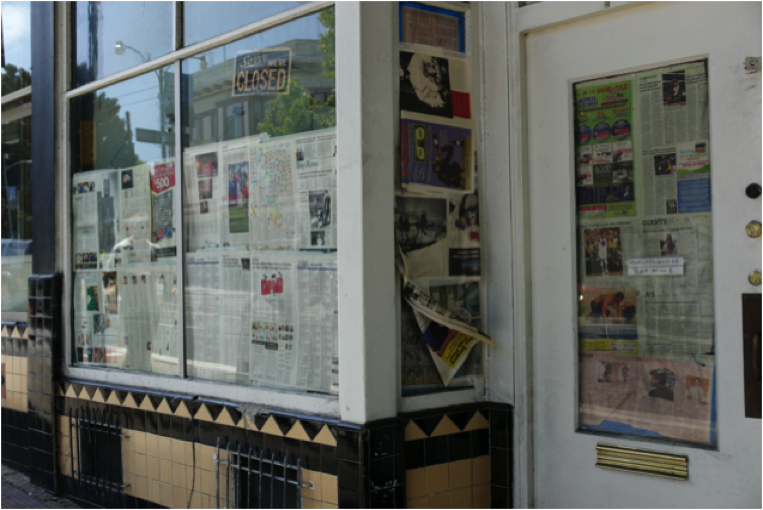 ccording to the sign, the shop has been there since 1948. 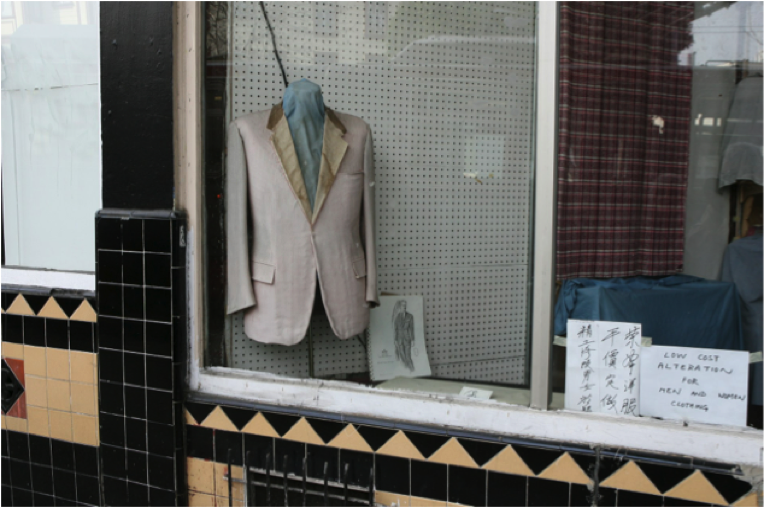 Right there on Columbus Avenue in San Francisco’s North Beach, Wing Wah Tailoring Co. Perhaps one of the oldest still surviving businesses in the area. Until now! The suit that used toa grace the window, is no doubt from the same era. 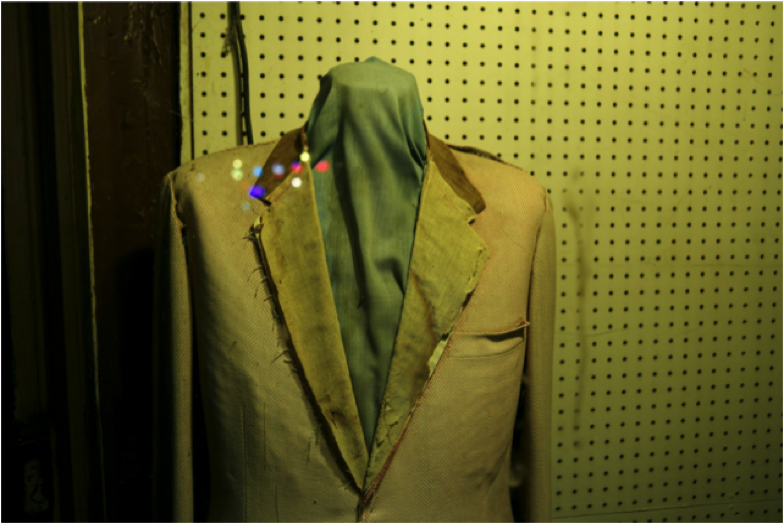 I first became acquainted with the suit in 1967 while walking to art school one day. Its ancient dilapidated appearance and the numerous dead flies accompanying it in the shops windows immediately fascinated me. 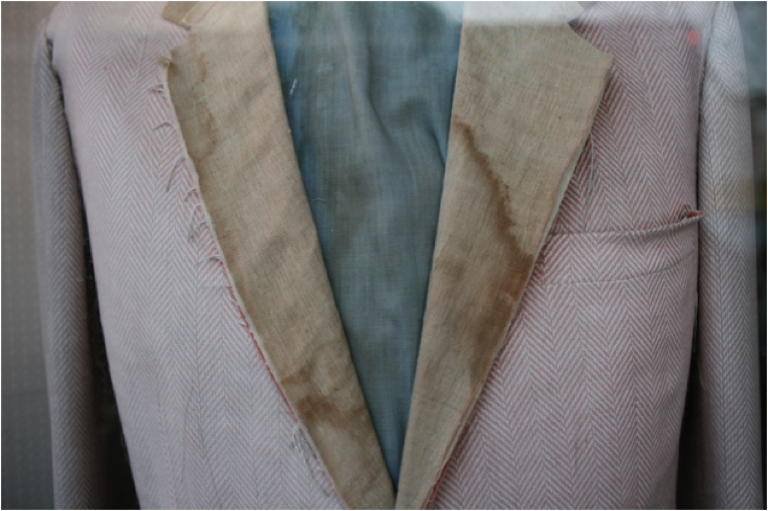 I liked the water stained frayed lapel of the suit because it had, even then, an antique patina and well-worn look all though I’m sure it had never graced anyone’s shoulders. I think of the suit as being old even when it was new. 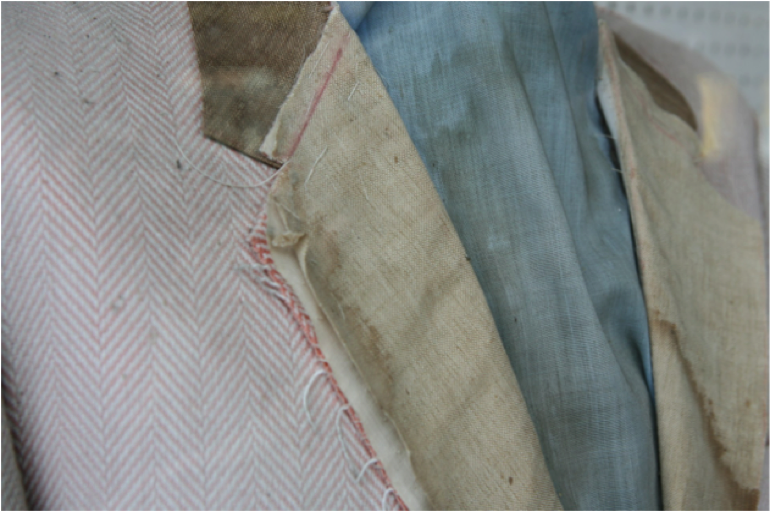 An example put on display to show good tailoring exposing the anatomy of a finely crafted suit, used to induce prospective customers into the shops interior. I secretly bet however, the suit has done little to attract customers into the shop. 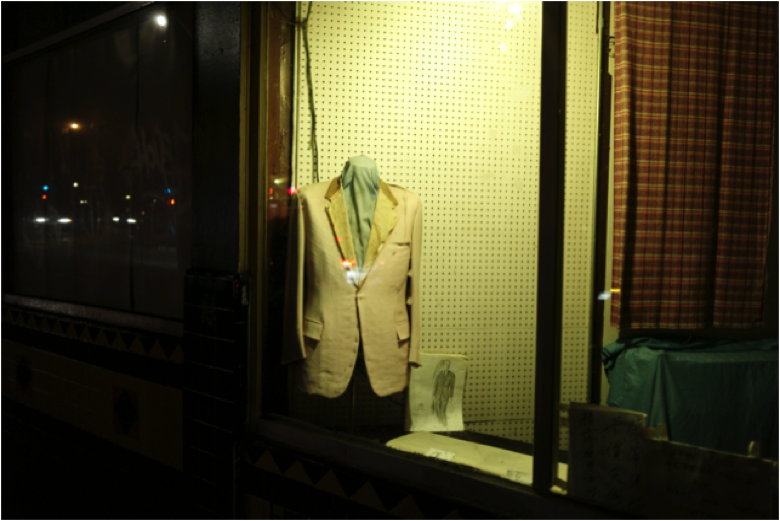 Over the past 40 years I have passed the suit many times and it has always been there looking out on the avenue silently observing all that passes its way. And while the suit and I have gotten older together during the passing of those years, the suit always remained the same. A kind of consistent beacon and silent friend all rolled into one. The suit has seen me go through many iterations of life while it has remained the same with only a change of flies and spiders who for generations have come and gone. For me it’s more than a suit, it's a trusted old friend, an anchor of normality and familiarity in an uncertain and changing world. 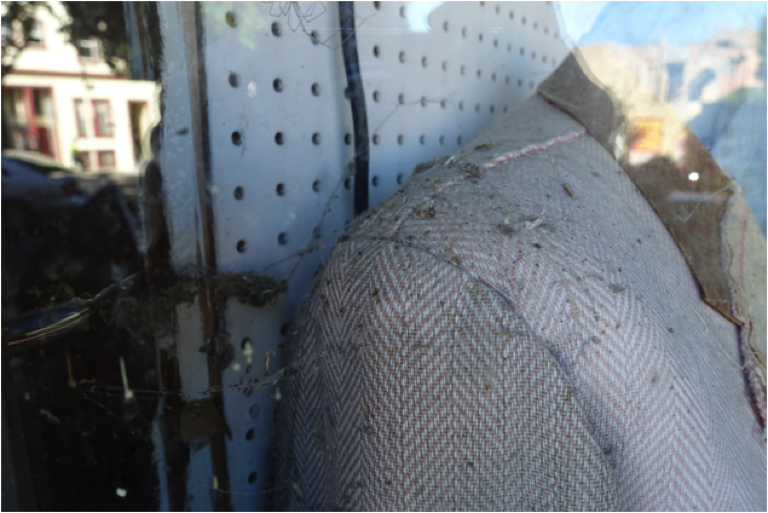 The ancient tailor has moved the suit many times to different places in the windows during the years and many generations of flies continued to die in close proximity to it and on it irrespective of where it was to be found. Sometimes their tiny desiccated bodies even graced the shoulder with their little black corpses adding an element of mystery. 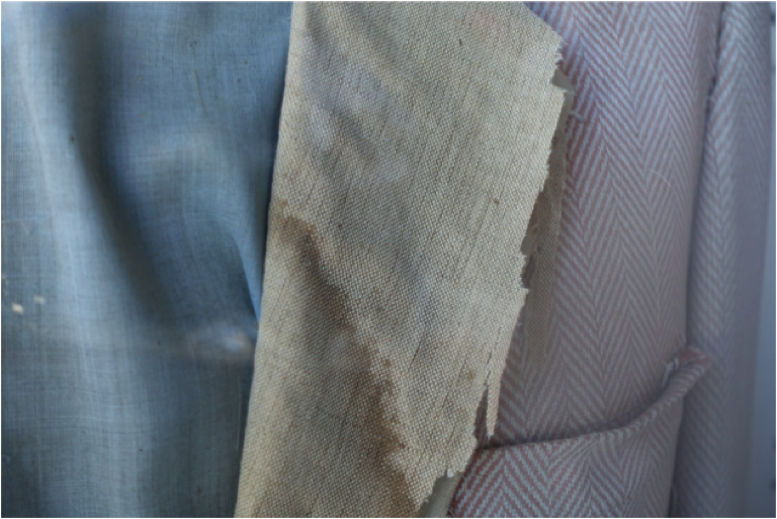 The sun bleached water stained cloth looks fragile and brittle with its herringbone pattern slowly fading from exposure to the early morning sun rays. The suit has clearly seen better days. 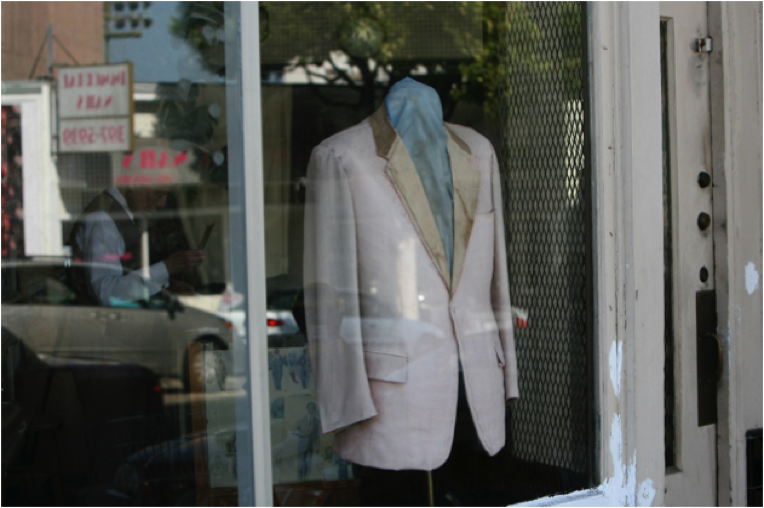 No doubt many people passing the window over the years never seen the suit, that’s just how unassuming its presence really was. But there it was standing in defiance of time at attention with its faded blue neck covering and rusty pin holding it shut where a button was intended to grace it one day. 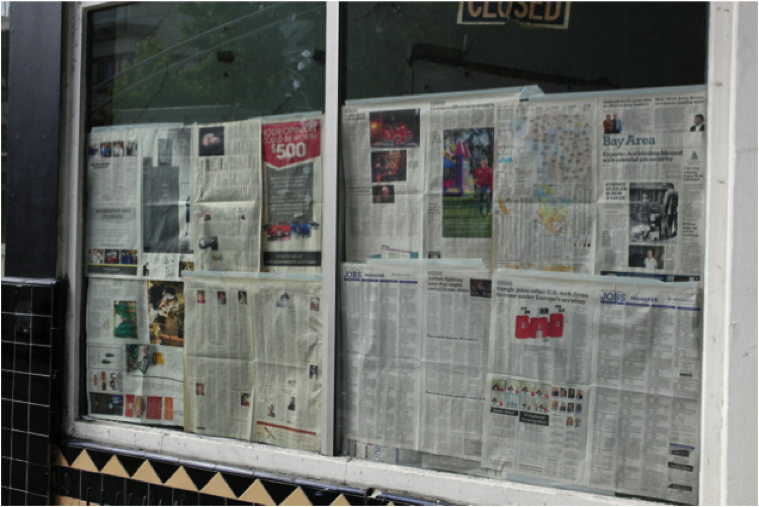 Its position in the window keeps it separated from daily life by a single pane of ancient and fragile stained glass. 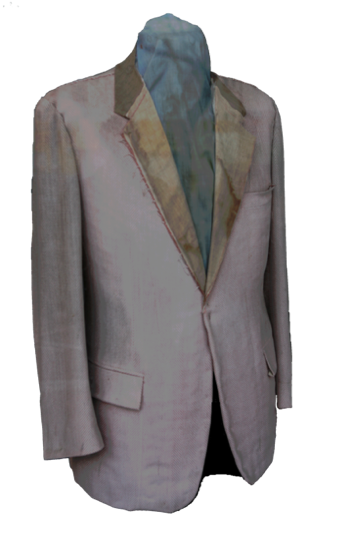 The suit has stood at attention with its arms at its sides all these years never asking for anything and never drawing much attention. There are few things in life that you can look back upon and visit that seem timeless and ever present but the suit for me was one of those constants. The Suit is gone and the store is closed! The store has been replaced! Where the suit once stood for decades, now there is a lamp and candles. Tailor, Wing Wah has retired!